The canyons of southern Utah are such a unique and beautiful place, and Kari and I have been very lucky to see them up close through the sport of canyoneering. We don’t go as much as we used to (cough… kids… cough) but still manage a couple of trips each spring and fall. It was on such a spring trip that I met Brian Olliver of DFS Films, who happened to be wrapping up filming on his documentary of the sport: Gorging. A few weeks after the trip he asked Spigot to help out with some graphic work on posters and dvd materials. We were psyched to oblige. The film is now out, and has won a few awards. 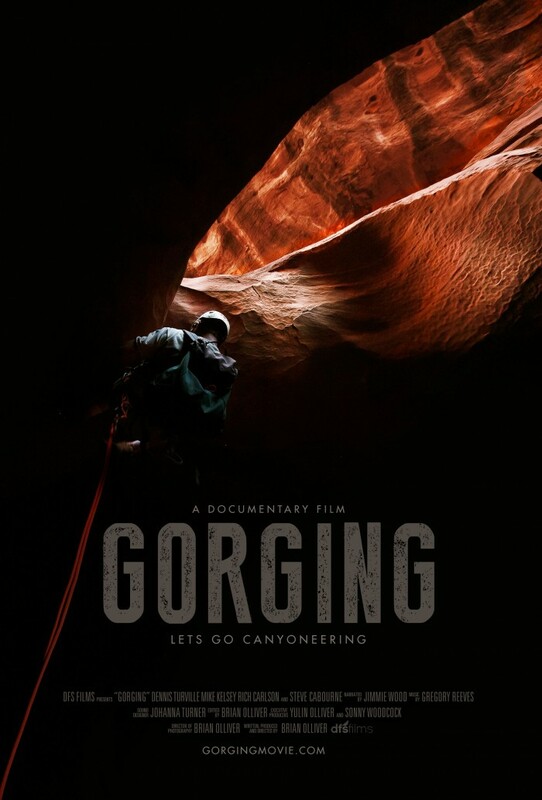 If you’ve ever wondered about the sport of canyoneering, this film will give you an exciting first hand view.